TULSA, Okla. (December 28, 2016) Following a full day of Hot Laps for all competitors, the 32nd running of the Speedway Motors Tulsa Shootout got underway at 5:30 P.M. on Wednesday, December 28, 2016 with 29 Heat Races for the Outlaw Non-Wing division. In all, 228 drivers drew in for competition in Outlaw Non-Wing of the 236 that registered. By the numbers, drivers from a dozen states grabbed wins with Oklahoma drivers leading at 11 thus far. California and Missouri shoes follow at three each with Indiana, Kansas, and Washington drivers all taking two wins. Arizona, Arkansas, Iowa, Illinois, Kentucky, and Maryland drivers have each earned a single triumph. For Wednesday’s opener, the deepest a win came from was the sixth starting spot with three drivers able to do so. Arkansas’s Mathew Howard charged in the second Heat Race with Oklahoma’s Kevin Bayer doing so in the eighth Heat. Chance Crum from Washington was the final sixth to first driver in Heat 25. 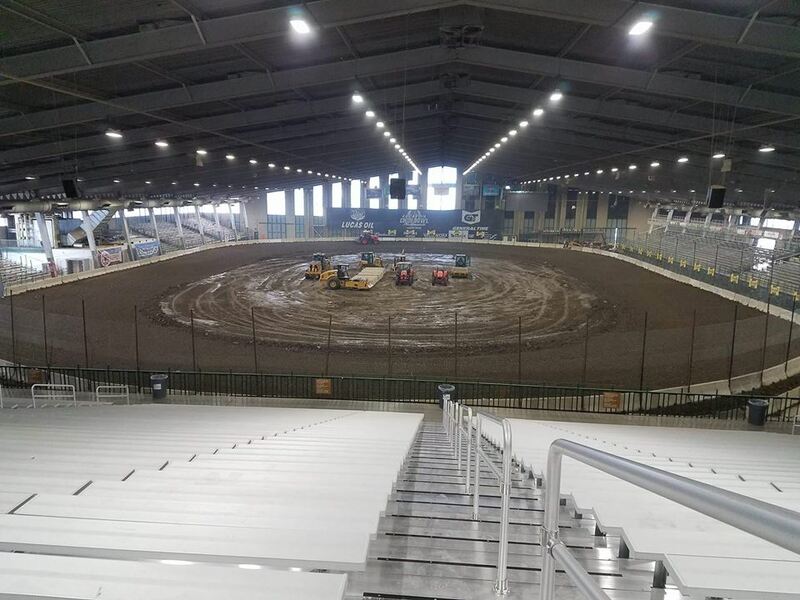 The 32nd Speedway Motors Tulsa Shootout continues on Thursday, December 29, 2016 with the final night of racing slated for Sunday, January 1, 2017. All remaining days of competition get underway at 10:00 A.M. (CT). Race count will being with Race No. 30 of the 270 scheduled on the weekend. First round of Heat Races will be for the 1,200cc Non-Wing Mini Sprints. General Admission Thursday Through Saturday is $15 with Sunday at $20. Kids 10 and under get in free with an adult. For those unable to attend, the full event can be purchased online via Racinboys.com, who is the official online PPV provider. For continued updates on the 32nd Speedway Motors Tulsa Shootout, log onto http://www.tulsashootout.com.